Has anyone found crashbars for 2017 model that have one crossbar just bellow the beak? Heed and Touratech make them but it looks like they wouldn't fit new model beacuse the beak is lower then on 2014-16 model. I've sent mail to both Heed and Touratech. Heed responded saying they don't know if their bars for '14 model would fit '17 model. Touratech hasn't responded. I didn't took any chance..Gone with Sw-Motech. I haven't seen a cross bar for just below the beak but I found a site today called AdventureTech, LLC. - Home and is ran by a member. He has a kit that you can buy that mounts where the horn is and allows you to have lights ran just to the sides of the beak. I don't know what your plan is for this bar but it sounds like thats what you're after. Yes, I've talked to him already. But it's not just the lights I need the bar for. 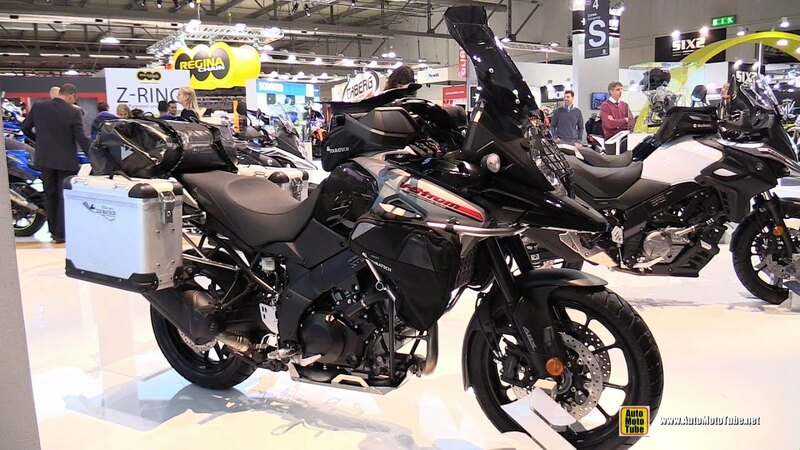 I dropped bike twice with Givi bars. Both times stationary and both times it bent the bracket that connects to the radiator. That is why I wanted bars with one crossbar bellow the beak. I wholeheartedly recommend the HEED bars. Fit is great, follow the lines of the bike better than most others and rock solid. Spend the extra and get the bags for them, too. Yes, that's what I want but the beak on 2017 model sits lower and I can't confirm that the crossbar would fit there. I emailed the Heed and they replied, stating they can't confirm the compatibility because they don't have 2017 model to test them on. I'd love to have Heed bars. Those Heed bars look very nice. I'm curious what they tell you. 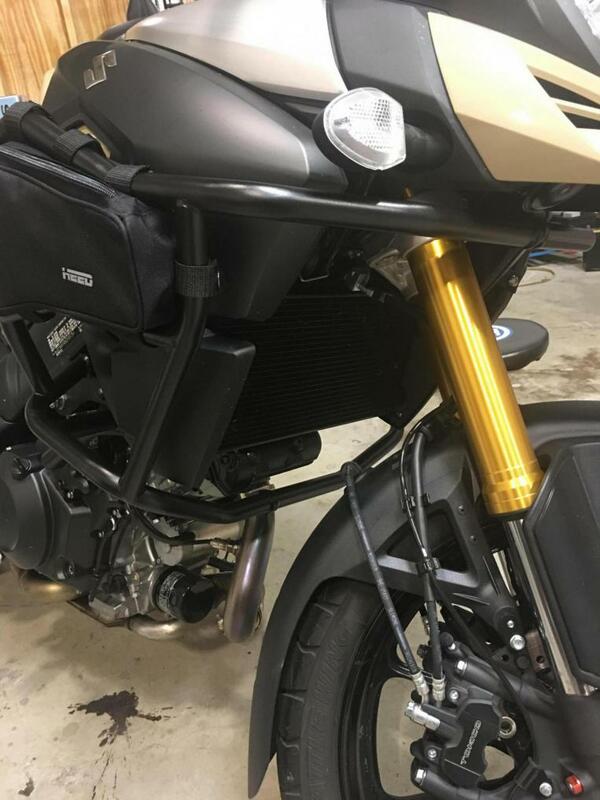 I noticed the Touratech website clearly states that their 2014+ DL1000 crash bar does NOT fit the 2018. The front cowl is also slightly different shape on 2018 which could be a factor in clearance. Hopefully they can modify the bars a 1/2" to accommodate. Personally, I like the choice of the bright silver Touratech. I have their skid plate and other parts and they are nice. But the Heed in black are super sharp and fit well. I too bent a Givi crash bar on a prior DL650, but they sell right and left sides separately. 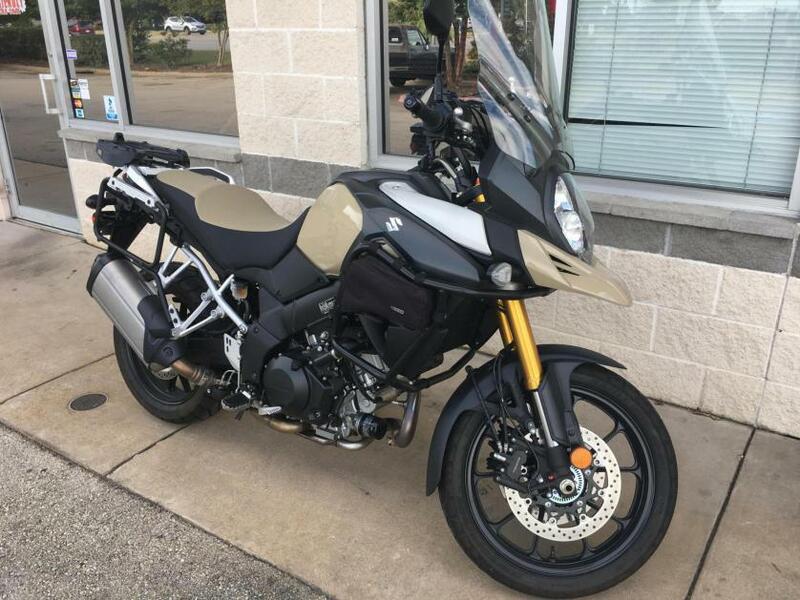 I'm seriously considering a 2018 1000XT but not until the right farkles are available. Last edited by KevinP; 07-21-2017 at 11:47 PM. Ride - Life Is Too Short! T-Rex has a crossbar in the middle at the top under the beak.